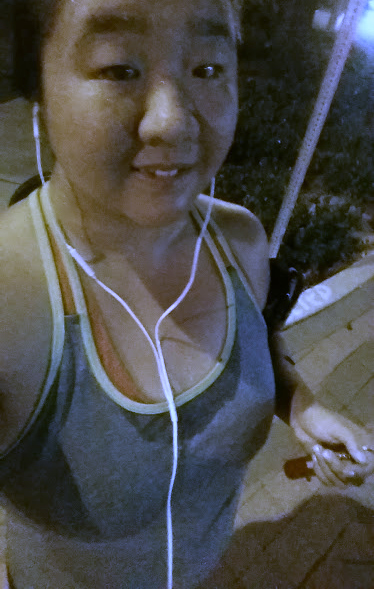 Last night I went for my first run back at the beach in almost a month! It was the first time I’ve done a proper speedwork session in a couple of weeks and it was HARD but really good! It was a fartlek and I did the fast portions at 9 – 9:30 pace! WHOOOOO! I was exhausted (in a good way) by the end of the third hard mile! Speaking of speed, elite ultrarunner Sage Canaday has started a new video series following his training to qualify for the 2016 Olympics. Sage has qualified twice before and in fact was the youngest person to ever qualify back in 2007 when he was just 21 years old. Sage will be going for sub 2:18 at the LA Marathon on March 15th! He also has a video where he writes his training plan, does a track workout, runs a 2-mile repeat workout and in the latest video he runs 1km repeats. You can see all of the videos HERE. Just a warning that the one where he talks about writing his plan is a bit boring… unless you’re also planning to qualify, then maybe you’ll find it interesting! The track workout video is really cool. What’s incredible to me is that he sets out to do his 200 meter repeats at 70 seconds and he basically hits between 65 and 70 seconds on every single one except for one of them. That’s serious precision! I’m most impressed by Sage because he has serious speed on the road and at short(er) distances, but also consistently wins 50-milers on the trail. I think this year he’s going for his first 100! Really incredible athlete! Okay, enough geeking out about running, let’s talk about my other favorite thing: Cecil! 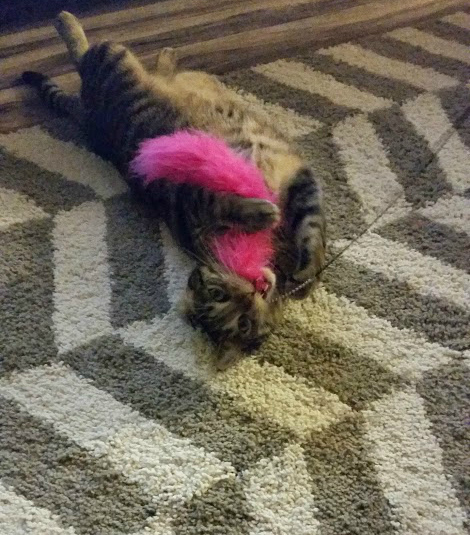 He’s had this pink feather toy for YEARS now and he’s just decided that he wants to play with it 24/7! Alright, I’m signing off for now! I hope you have a great day! Just a couple more days until the weekend and a couple more days until my mom arrives for a short visit!!!!! Do you like watching videos of people running? – I could watch them all day! I’ve been watching all his videos. I can’t wait for him to kill that qualifier. There are a few guys I can watch run forever. Sage and Killian are my top two. As I was writing this post I totally thought about you and KNEW that you would have watched all his videos too! Kilian is just on a whole different level, watching him run down mountains is seriously art! Nice work on the fartleks! That’s a great improvement in speed! Thanks for sharing Sage’s videos. I’m really excited for the elite field that will be running LA this year. It’s just so cool to know they are on the course ahead of you. Last year I saw Deena Kastor jogging around the block as I was walking in to the expo. I smiled at her but was too shy to smile back. Lol, starstruck by an elite runner, I’m such a nerd. When I saw that Sage switched from the Houston Marathon to LA I was instantly jealous knowing you are going to be there!!!! That’s so awesome that you saw Deena! I think if I saw Scott Jurek out and about I would literally just fall to the ground and die so I can definitely imagine how you felt seeing Deena! I could watch running videos all day! Thanks, I will put those on my watch list! Congrats on your speed work! It’s a great exhausted feeling, isn’t it? You are going to be AMAZED at how quickly speed work helps, even your “comfortable” chill pace will be faster!!! 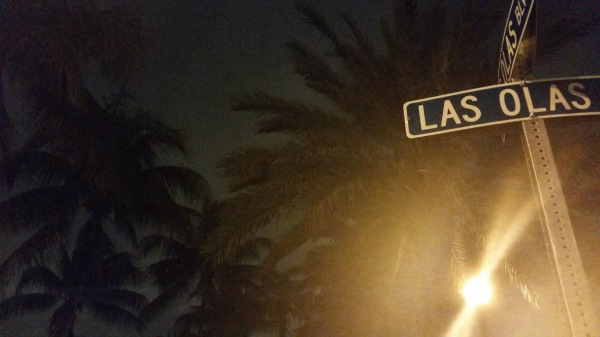 The street sign, “Las Olas”–one of my FAVORITE restaurants here to grab a huge burrito. So good! Nice! Speedwork is so hard. Glad you hit great paces & got a good workout in! On the first interval I was like “wheeeeee this is great” and by the last one I was like “whoaaaa don’t throw up”! Nice job on the speedwork! This is my first week of incorporating speedwork and boy, it is NOT easy. I also realized that I had NO idea what I was doing with speedwork before (in terms of pacing or easing into it). Oh Cecil. That’s hilarious – why is it that cats ignore toys for years, practically, and then suddenly “discover” them later? 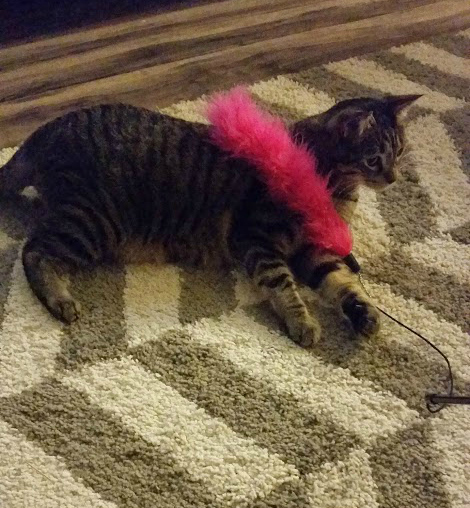 haha, my cat has a pink feather toy too and he is obsessed with it. He carries it up stairs to have a nap in my bed sometimes! Nice job on that speedwork!! How did you feel doing those 9-9:30 paces? Awesome I hope! Your speed work is awesome!!! I know that you are going to keep dropping those times more and more!!! Beast mode in your speed work! Watching NYC Marathon or Boston Marathon is up there with Christmas morning. That Las Olas pic made me GO HAPPY. I was just on the phone last night with my friend who lives 2 blocks from the starting line of the A1A. I’ll be staying there for race weekend. I can’t wait! AMAZING work on your fartleks!